•	For and receive a heart revived to passionately and completely worship the Lord, simply because He is worthy of our praise, worship and adoration. •	For the church to have a Christ centered experience of worship in spirit and truth that will please the Father. •	For humility and unity among believers that will give rise to worshiping the Lord in the beauty of His holiness throughout His church. Repent. Pray. Listen. Exalt His Name. We are continuing to press on in these 40 Days of repentance and prayer to seek the Lord and for true transformation to occur. We must draw near to God. God can do great things in you and the body of Christ when we individually and corporately seek God’s face, hear his voice and obey His ways. During these last five days let us humble ourselves and pray, seek His face and turn from our wicked ways that He will hear our cry from heaven, forgive our sins and heal our land. (2 Chron. 7:14). Repent: Of not humbly repenting and consistently turning toward the Lord; of resisting God’s call to humility and repentance of pride or hardness of heart; of _____________________. •	For forgiveness and a fresh impartation of God’s grace to live a life of humility and repentance. •	Pray that you will be filled with a spirit of humility and repentance, turning form your ways of the world and toward the Lord. •	Pray that your church will be filled with a spirit of humility and repentance, turning form your ways of the world and toward the Lord. •	That the number of believers following the ways of humility and repentance would increase. •	That the promise of revival will be poured out upon the people of God as we seek His face, repent and walk in His ways. •	To be clothed in humility in order to serve out of the love Christ has bestowed upon us. •	That our service in love will lead many to salvation to the glory of God. We are continuing to press on in these 40 Days of repentance and prayer to seek the Lord and for true transformation to occur. As these 40 days of repentance, fasting and prayer draw to an end, we must make a commitment and set our minds to press onward to consistently seek the Lord in prayer and worship and to intercede for your city, family , nation and others. Repent: Of failing to pray or growing weary or sluggish in preserving in prayer; of failing to watch and pray as watchmen on the wall of our city; of not yielding to the Holy Spirit who makes intercession through us; of not pursuing God on behalf of your city, the nations and household salvation: of________________________________________________. 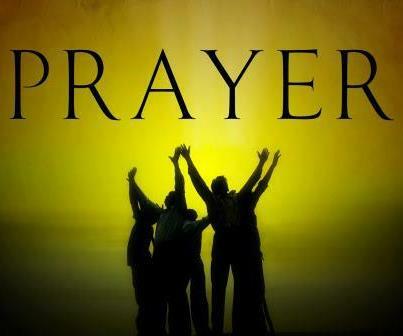 •	Ask that prayer and intercession will increase in purity, passion and power throughout your life. 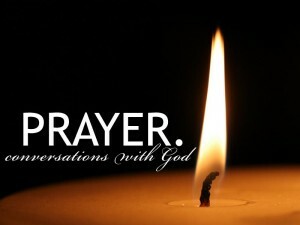 •	Ask that prayer and intercession will increase in purity, passion and power throughout your city. •	Pray for those called to mobilize, lead, and encourage others in prayer will be raised up, trained and equipped throughout the church and city. •	That a manifestation of the Spirit of God with the baptism of the Holy Spirit would come upon every prayer meeting in the city, bringing forth prayers that are in agreement with Jesus Christ and pleasing to the Father until He answers. •	That you will be transformed by the presence of Christ as we cry out in humble and faith filled intercession. •	Pray for household salvation- those in your family. Pray for salvation for you community and city. •	Pray for the nations- Pray for your nation. Write the name of your nation. •	Pray for your city- Write the name of your city. We are continuing to press on in these 40 Days of repentance and prayer to seek the Lord and for true transformation to occur. Invite the Holy Spirit to search your heart and to reveal areas where you are not demonstrating love, compassion and serving others and you are not obeying God’s Word or hearing His voice. Seek to hear the voice of God and listen. Listen to His wisdom, guidance and instructions. Obey His voice. Repent: Of not heeding the voice of the Lord; of allowing fear, doubt or unbelief to hinder our willingness and ability to hear the voice of our God ; of hearing but not obeying His voice; of trusting the voice of others more than in the voice of the Lord; of__________________. 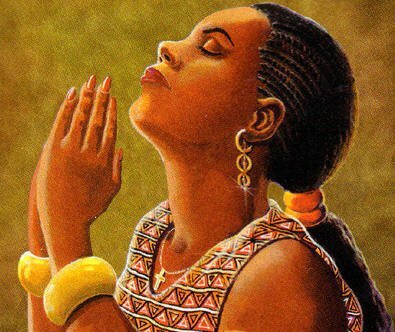 •	Intercede that you will find a place to be quiet and sit before the Lord, expecting to hear what He has to speak today. •	For grace to walk in humble obedience to hear His voice. We are continuing to press on in these 40 Days of repentance and prayer to seek the Lord and for true transformation to occur. Jesus has been with us on this journey through ups and downs, struggles to stay on course, to stretch out of our comfort zone and to grow in the Lord. Let us give Him the praise He deserves. •	For forgiveness for not praising and honoring God as we should. •	That the spirit of true praise and worship will break out in the church. •	That you will faithfully magnify His name and give Him the honor and glory due Him. •	Praise God that He is the Exalted One; that His name is above every name, and that every knee will bow and tongue confess that Jesus is Christ is Lord. We are continuing to press on in these 40 Days of repentance and prayer to seek the Lord for true life transformation to occur. As these 40 days of repentance, fasting and prayer draw to an end, we must make a commitment and set our minds to press onward to consistently seek the Lord in prayer, intercession and worship and to intercede for your city, family , nation and others. Repent: Of failing to pray or growing weary or sluggish in preserving in prayer; of failing to watch and pray as watchmen on the wall of our city; of not yielding to the Holy Spirit who makes intercession through us; of not pursuing God on behalf of your city, the nations and household salvation. We are continuing to press on in these 40 Days of repentance and prayer to seek the Lord and for true transformation to occur. Invite the Holy Spirit to search your heart and to reveal areas where you are not demonstrating forgiveness, peace and reconciliation. Repent: Of not pursuing righteousness, godliness, faith, love, patience, gentleness, and peace, particularly with those who do not yet know Christ as Savior; of not responding to wrong treatment or suffering with righteousness and goodness; of not being intentional in reconciling with those from whom we are separated ; of ___________________________. •	For forgiveness for sins of commission and sins of omission Confess to the Lord the ways you have not walked in love, and in the fruit of the Spirit. •	Pray for grace to begin pursuing attitudes, words and actions of reconciliation with our community. •	Pray for forgiveness and restoration by the power of the Holy Spirit to walk in the Spirit. •	Pray for you to submit to the Holy Spirit, seeking to demonstrate abundantly the fruit of the Spirit to family, friends and the world. •	For expressions of reconciliation to prevail in your actions, attitude, words and deeds. •	Pray that the ministry of reconciliation you have in Christ to compel you and the body of Christ to share the gospel of Christ with the lost so that they might be reconciled to God. •	Pray for grace and patience to flow through believers to the lost, especially for believers who have been mistreated, criticized or persecuted for righteousness’ sake. We are continuing to press on in these 40 Days of repentance and prayer to seek the Lord and for true transformation to occur. Invite the Holy Spirit to search your heart and to reveal areas where you are not demonstrating love, compassion and serving others. Repent: Of not walking in the attitude of Christ Jesus who came to serve, not to be served; of failing to serve others; of expecting to be served by others; demonstrating pride rather than humility. •	For forgiveness for failing to walk in the ways of Christ in service, humility and reverence. •	Pray that you and the church to learn how to serve as Christ did. We are continuing to press on in these 40 Days of repentance and prayer. Seek the Lord with your entire heart. Invite the Holy Spirit to search your heart and to reveal areas where forgiveness, insight and transformation need to occur in you and in the church. Repent: Of not walking in truth or demonstrating truth in love; of using truth as a weapon that wounds rather than as a revelation that sets people free; of telling the truth without a loving attitude or expression but just to prove a point, ego and without real concern for the people . •	Confess to the Lord the ways you have not walked in love, mercy, loving-kindness, and goodness. •	Pray for you to grow in grace and to come to the revelation of the love of God in His truth; and an understanding that truth without love is not a true reflection of Jesus Christ. •	Pray that by the power of the Holy Spirit that believer will come to faith because the church and people would walk in and demonstrate truth to them in love. •	That truth would increase in and through you and the body of Christ bringing liberty to all. We are continuing to press on in these 40 Days of repentance and prayer to seek the Lord and for true transformation to occur. Invite the Holy Spirit to search your heart and to reveal areas where you are not demonstrating, on a consistent basis.the fruit of the Spirit. Repent: Of living according to the flesh and its desires rather than the Spirit of love; of failing to demonstrate the fruit of the Spirit, especially to those who do not know Christ as Savior and Lord; of failing to have faith in the Lord and to surrender to His Word and the Holy Spirit. •	Confess to the Lord the ways you have not walked in love, and in the fruit of the Spirit. •	Intercede for all believers to be lead by the Holy Spirit to grow in maturity, faith and to walk in the fruit of the Spirit. •	To walk in the fullness of Christ’s grace as members of the body of Christ, demonstrating His love, mercy, grace, and power to the world. •	Praise God for the Holy Spirit and that He lives within us, enabling and empowering us to walk according to the ways of Christ. Day 31 of 40 Day Prayer Journey to Life Transformation. We have been on this 40 day journey for 31 Days today( See daily prior posts). How are you doing with meditating on the scriptures, talking to God about you and Him ,praising Him for His greatness and talking about what’s on your heart and confessing your sins and telling Him about the strongholds in your life. Tomorrow we will continue our prayer point focus. I thought today I would change the format on Day 31. On this journey we have been praying about our relationship with God, our relationships with family members and our relationships with those in the body of Christ. Are you growing more in grace? I pray that this time will be radically used by the Lord to bring life transformation to us all, personally and corporately. I need it. One thing I am thankful for that God is only a prayer away. Stay on the prayer journey. Don’t quit. Hear Lord, when I cry aloud; have mercy and be gracious to me and answer me. 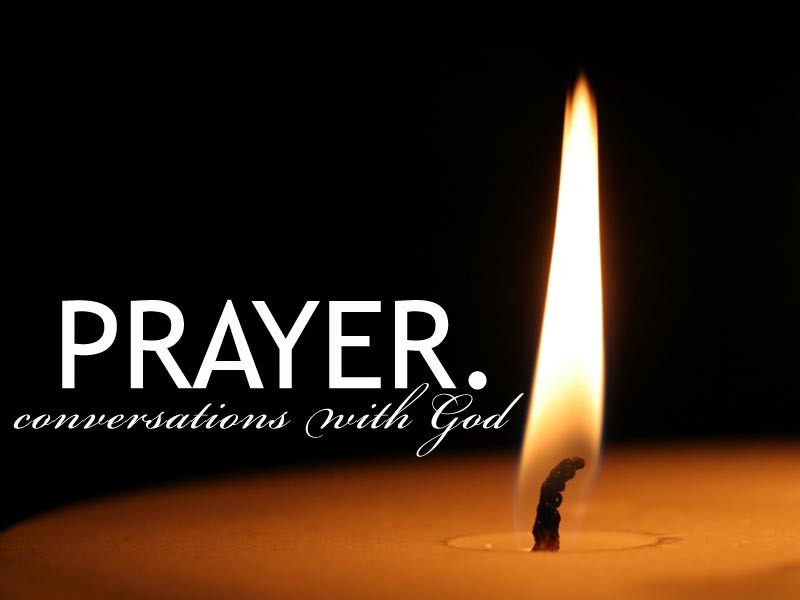 What do you need to ask and talk to God about today? Who are you interceding for today? Pray. Believe. Hear. Listen. Pray. Believe. Do what God tells you to do. 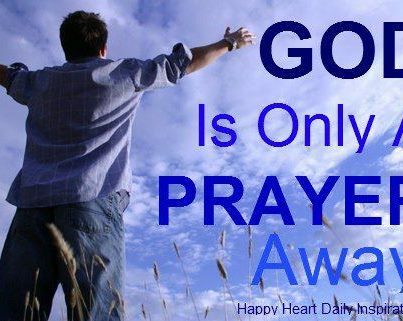 God is only a Prayer Away. Repent: Of failing to show acts of kindness to the poor, homeless, or to those who mistreat you or loved ones; of withholding mercy out of judgment, loving-kindness out of revenge, or goodness out of “self righteousness” judgment and indignation; of____________________( Fill in the blanks). •	Confess to the Lord the ways you have not walked in love, mercy, loving-kindness, and goodness with the poor, lost, your neighbor and others. •	Pray for you and the church to grow in grace, mercy and love to impact the world. •	That the fruit of the Spirit would abound in and through your life and in the life of the church. •	That your demonstration of love and goodness may lead many to repentance and salvation. •	That the body of Christ’s demonstration of love, mercy, and goodness would bring a forth a harvest of people that will be lead to repentance and salvation. •	That the church will be known for her demonstrations of love, mercy, goodness pointing to the Lord Jesus Christ with clarity. •	Thank the Lord Jesus Christ for the gift of the Holy Spirit that fills us and enables us to walk in mercy and love and to demonstrate loving-kindness and goodness. We have been pressing through these 40 days of prayer and repentance. How have you been challenged, growing, laying aside weights and sin, and being renewed toward transformation? God is love and He wants us to demonstrate that love in our relationships with the “saved” and those who do not know Jesus Christ personally. We should live as a demonstration of His love, grace, mercy and truth so that we will glorify Him and that someone may be saved through Him. Invite the Holy Spirit to search your heart to reveal areas where transformation needs to occur in you, and in the church. Today on this 29th Day let us walk in the grace of God and show grace to others. Repent: Of not walking in the love and grace that God has bestowed upon you; of receiving grace but not demonstrating grace to others; of not walking in the grace He give us to live a life of power and testimony that glorifies Him. Of___________________________________. (Fill in the blanks). Receive: Grace to live according to His commands and His call upon our lives; His grace to be and to do all that He requires of us to do to bless others, to build up His Kingdom and to glorify Him. •	Confess to the Lord the ways you have not walked in love and grace with the lost, your neighbor and family members. •	Pray for you and the church to receive a fresh revelation of the marvelous grace of the Lord Jesus Christ. •	Pray that you learn to see grace as a gift we have received and are to bestow freely upon others and that you are generous to bestow grace to others as you have freely received. •	That restoration of graciousness in our attitude, speech and actions will be demonstrated in you and will permeate the church. •	Ask the Lord to do a work in your heart that will release you from any spirit, thought or unforgiveness that blocks your relationship with those who do not know Jesus Christ, your neighbor and family members. •	Praise God that He is gracious, full of compassion and abounding in mercy; that we are recipients of His saving, redeeming, and delivering grace. We have been pressing through these 40 days of prayer and repentance. How have you been challenged, growing, laying aside weights and sin, and being renewed toward transformation? God is love and He wants us to demonstrate that love in our relationships with the “saved” and those who do not know Jesus Christ personally. We should live as a demonstration of His love, grace, mercy and truth so that we will glorify Him and so that someone may be saved through Him. Invite the Holy Spirit to search your heart to reveal areas where transformation needs to occur in you and in the church. •	Confess to the Lord the ways you have not loved and honored the lost, your neighbor and family members. •	Pray that the Holy Spirit will empower you to forgive and for each of you to forgive each other. •	Pray for healing of broken or embittered relationships. •	Pray for relationships with your children and that as a parent you will demonstrate that love with encouragement, time and healthy discipline. •	Pray that children will love, respect and obey their parents. •	Pray for the church to be a living force of love in the neighborhood, city and world. •	That you and the church will be known by your love for one another and for your love for those who are lost and do not know Jesus Christ. •	Pray that the church and you show your neighbor, those who do not know the Lord, and the world genuine love in word and in deeds. •	That the church be delivered from the spirit of legalism and released into a Spirit of truth love and liberty of the Spirit. Praise God for His unfamthonable love for You and His marvelous works. Open your mouth , speak of His marvelous works, praise Him for who He is and applaud Him. Repent: Of not worshipping according to the patterns set by the Lord- See e. g., Psalm 95, 150 ; of failing to cultivate an atmosphere of worship and praise personally and corporately that honors God and welcomes the Holy Spirit in the corporate gathering. •	Pray for our worship services that the Spirit of Praise and Worship come from sincere hearts and that we will see the manifestation of God’s mighty works. •	Pray for the church and you to have a Christ centered experience of worship in spirit and truth that will please the Lord. •	For your church and yourself to increase in true corporate prayer. •	For you and your congregation to open our mouths to praise the Lord in unity. •	That congregation will seek the Lord in one accord. •	For a fresh passion for worship among the believers to arise. •	That the walls of division created by personal preferences and styles which do not honor the Word of God to be torn down. •	For churches, locally and corporately, to create an atmosphere where the Holy Spirit will be welcomed in the midst of worship. 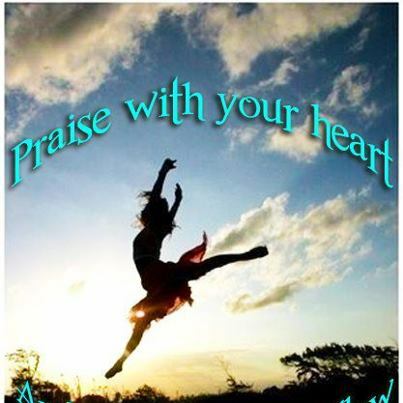 Praise the Lord with your whole heart. Action: Write your own praise prayer or song unto the Lord.